The MikroTik RouterBoard hEX S is a five port Gigabit Ethernet router for applications where integrated wireless connectivity is not required. 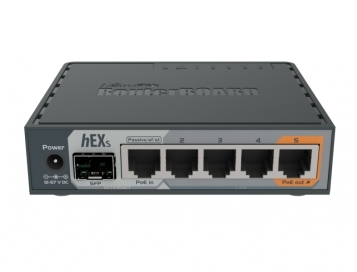 Compared to the standard hEX, the hEX S features an SFP port and PoE output on port 5 making it a much more flexible device. The hEX S is affordable, small and easy to use, but it's by no means a low end product, sporting a powerful dual core 880 MHz CPU as well as a capable 256 MB of RAM. 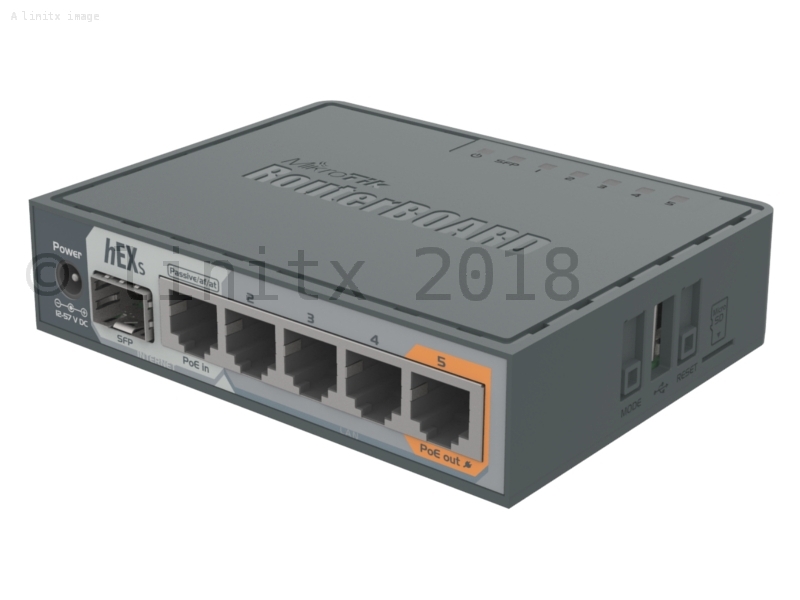 The hEX S benefits from all the advanced configurations that RouterOS supports, features a USB 2.0 port, PoE pass-through on Ethernet port 5, a 1.25Gbit/s SFP cage, IPsec hardware encryption (~470 Mbps) and The Dude server package is supported. A microSD slot provides improved r/w speeds for file storage and the Dude.